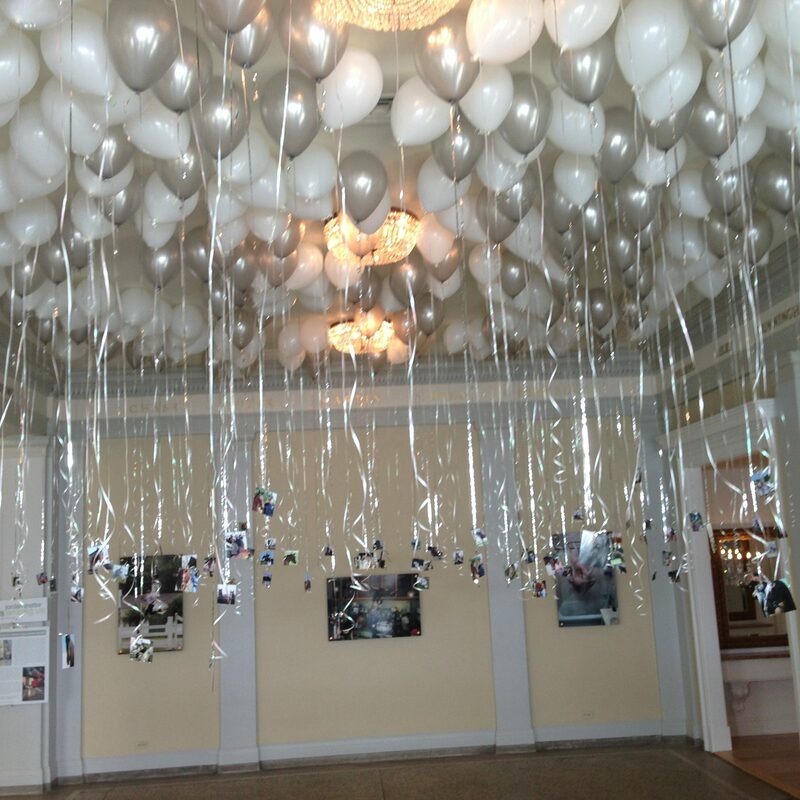 For over 20 years, Celebrations has been providing Professional Balloon Décor to clients all over the Capital District, Saratoga and Lake George area (and beyond.) We take great pride in our commitment to create stunning and innovative balloon arches, columns, bouquets, centerpieces, sculptures and much more that will make your party or event, the talk of the town. From an intimate Bridal Shower for 20 to a Convention for 400 people, Celebrations will work with you to design and create the perfect décor that will impress your guests or WOW your clients. Browse through our website then contact us for a free consultation. If you are looking to send a whimsical or elegant Balloon Bouquet to someone special for a birthday, anniversary, new baby, thank you, retirement………….we can do that to. We Deliver! WOW – once again your beautiful balloon creations transformed our cafeteria into a Homecoming Wonderland. Just when I think I have seen it all you surprise me with something even more creative and eye popping. Thank you for making my life easier year after year. Can’t wait to see what you come up with next. I have worked with Celebrations for the past 18+ years and every year I am thrilled with the balloon decorations. Kim and her team do a great job and I have never been disappointed! I've used Celebrations many times for various festivities I've hosted over the years. 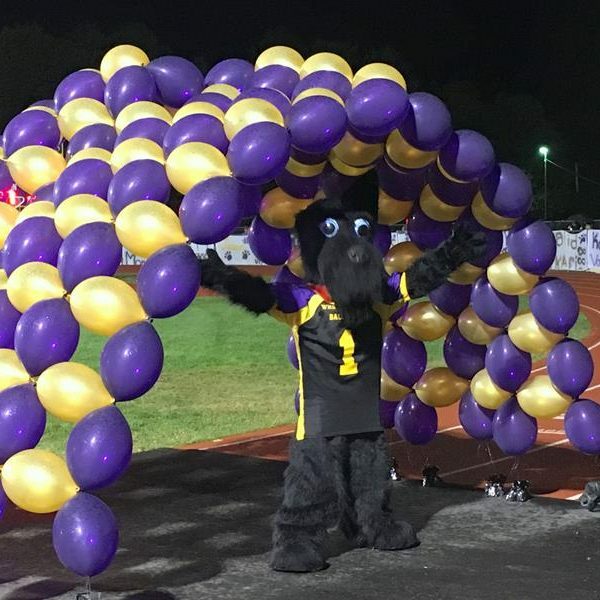 From birthdays to graduations, themed parties from Casino Night to Back Yard Olympics, Kim has always set the tone with wonderful balloon creations. She is experienced, a pleasure to work with, and brings many creative ideas to the party. I look forward to working with Celebrations again in the future! Kim Durfee has consistently delivered on time and reliable service to a variety of our on and off campus events. She is incredibly skilled at designing her creations to match the color schemes we have for our events, and values her customers greatly. We’re so happy to have her as a dependable resource to help us make our events more colorful and beautiful! Kim Durfee, along with her husband Dan, opened Celebrations Party Store in Saratoga Springs, NY in 1996. Immediately upon opening, customers started asking Kim to create centerpieces, arches, columns and much more for their events. She quickly fell in love with everything balloon related especially being able to chime into her creative side with the event décor. By 1998 they decided to close the retail store so that they could completely devote Celebrations to balloons. After establishing a large client base, Kim was able to raise her three children while being able to completely rely on repeat customers and word of mouth. Now that the kids are getting older, Kim is delighted to devote herself full time again to bringing the joy of balloons to many more clients throughout the Saratoga, Lake George and Capital District Area. The possibilities are endless when it comes to balloons making education in the industry so important. Kim is a long time member of the Qualatex Balloon Network and thoroughly enjoyed attending the 2016 World Balloon Convention in New Orleans (along with 900 other delegates from all over the world.) She was thrilled to bring all of that new knowledge back to her staff and clients. How does the weather affect balloons? Helium is environmentally safe, non-toxic and non flammable. Helium should not be inhaled, as it displaces the oxygen in your lungs, causing serious lung injuries. Do not inhale helium from a balloon or a helium tank under any circumstances. Latex balloons are made from 100% natural latex — not plastic. Our latex balloons are biodegradable, and decompose as fast as an oak leaf in your backyard! Most standard size (11”) latex balloons will float 10-18 hours. The bigger the balloon the longer it will float. Balloons can be treated with a substance known as Hi-Float that coats the inside of the balloon so that the helium does not escape as quickly. Once the balloon is treated it can last for days under normal circumstances. Mylar balloons will last much longer. Yes. Our creations are specifically made to our client’s requests. We can tailor your design to any theme and/or color selections and will always guide you with expertise to ensure that you are thrilled with the final product. From periwinkle to pistachio – if Qualatex doesn’t make your color we can custom create any color you want. Feel free to bring us a color sample that you’d like to match. CLICK HERE to view our color chart. We do not have a set time but the earlier you place your order the better chance we will have the date available and the proper products in stock. 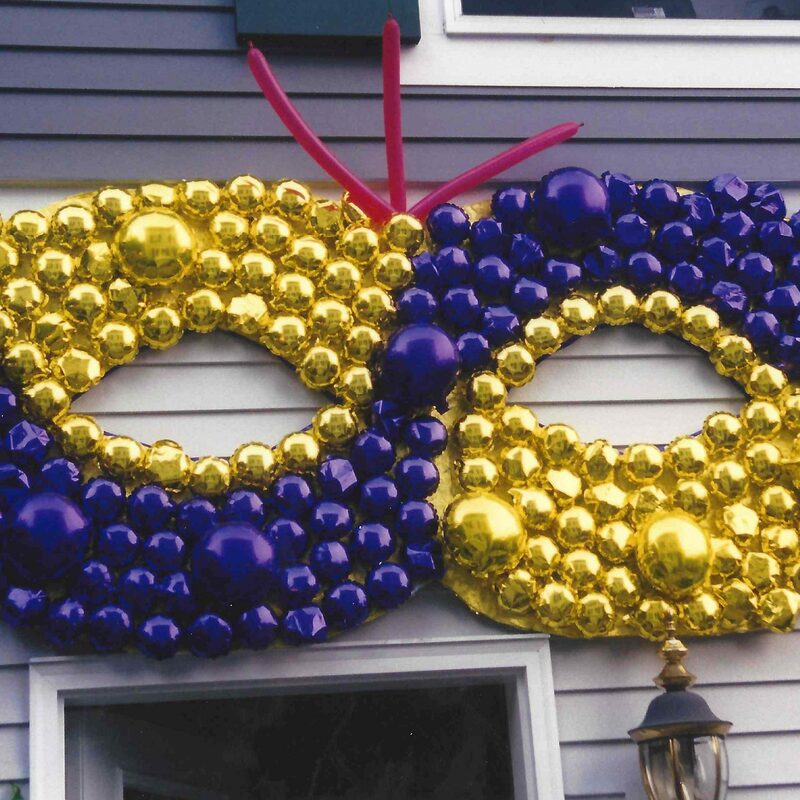 Yes, we deliver balloon decor and arrangements from the Lake George area to the Capital District. Our delivery charge varies based on distance for delivery and the size of the order. Please call us at 518.441.6240 for specific details.